That was the sentiment from Darren Collison on the Pacers matchup with Toronto, and they proved on Wednesday night, that they were anything but. Collison dropped 16 points, while Thaddeus Young recorded a double double with 23 points and 15 rebounds as the Pacers came out victorious against the Raptors with a 110-106 win at home on Wednesday night. Despite the win, there was awful news for Indiana as Victor Oladipo suffered a serious injury in the second quarter that could end his year, and could chance the pace for Indiana moving forward. As Oladipo was chasing Pascal Siakam on a breakaway, he stopped and fell without any contact, leading many to believe he dislocated his knee. He was taken out on a stretcher. ESPN’s Adrian Wojnarowski gave an update stating the Pacers fear Oladipo suffered a season-ending injury that will require surgery. He led the team in scoring averaging 19.2 points per game, and in a stretch where he missed 11 games earlier, the team went 7-4. 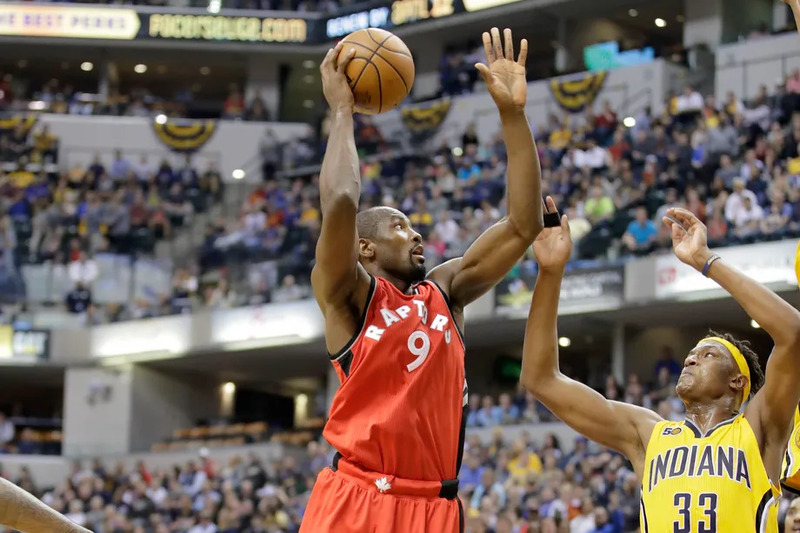 Serge Ibaka notched a double double for the Raps with 23 points and 11 rebounds, while Kyle Lowry registered 20 points on the night. Kawai Leonard, O.G Anuoby and Jonas Valancunias were all inactive. Indiana did a great job of maintaining a lead throughout the night and Toronto just wasn’t able to play catch up with so many of their starters out. They got close, with a 98-97 margin with just over four minutes left in the game, but again let it slip away. The Pacers came out of the gate running, developing a 24-16 lead at the end of one, and making it 30-10, while finishing the half on a 9-4 run that would make it 59-47 at the half. Toronto got into a hole early and couldn’t climb out, starring 3-for-10 from the field and amassing just 16 points in the first quarter on 25% shooting. The Pacers defense was top notch, while the Raptors just couldn’t capitalize on any of the open shots they were given. Indiana kept poling on their lead in the second quarter with Pacers center Domantas Sabonis getting wide open against Raptors Greg Monroe. Monroe, who played eight minutes was overpowered by the Pacers offense and was pulled quickly. Down 12 in the third, it was the Lowry show, while the Raps racked up five points early to cut the deficit to single digits. The lineup of Delon Wright, Fred VanFleet, Norman Powell, Patrick McCaw and Serge Ibaka went on a run that would bring Toronto to within three with over six left in the game. Lowry came back in to end the game and try to grab a lead, while Danny Green’s last ditch effort with a three was just short, but the Pacers and their defensive play was enough to hold on for the win.